Description: One of the newest waterfront landmarks in Brighton is the large Brighton Wheel. 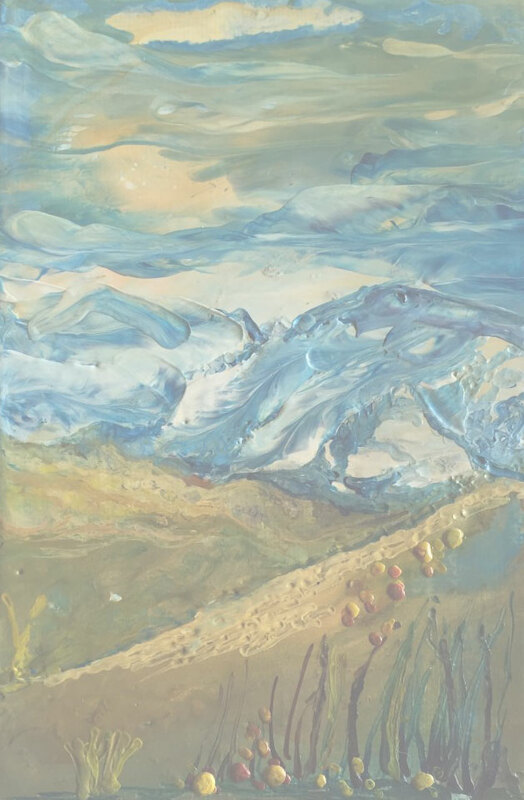 This encaustic medley made up of four panels shows the movement between sky and wheel. Artist’s Comments: Having been a passenger on this wheel, I was impressed with the height it soared to.